From the critically acclaimed author of Amina’s Voice comes the third book in an exciting middle grade series about a scrawny fourth-grader with big dreams of basketball stardom. Zayd has a plan. He’s ready to take the reins as team captain of the Gold Team. But when an injury leaves him on the sidelines, his plans get derailed. Can Zayd learn what it means to be a leader if he’s not the one calling the shots? My new basketball hoop is going to be amazing. I waited forever to finally replace the rusted, bent rim I’ve been playing on for the past four years. This one has a clear shatterproof backboard like the ones in the NBA. Plus, there’s an adjustable height lever you can use with one hand. I chipped in for half of it using the money I had saved up from my birthday and Eid. My parents paid for the rest. But after three hours and thirty-seven minutes the hoop is still in pieces all over the driveway. My dad is drenched in sweat. My uncle, Jamal Mamoo, is cursing under his breath and probably wishing he hadn’t come over today. And I think my mother is pretending to understand Chinese, since that’s the only language in the instruction booklet. She keeps rotating the pages to look at the drawings from different angles. “I think it’s the other end that’s supposed to go in this thingy,” Mama says, pointing at the booklet. “No. It. Doesn’t. Fit. That. Way.” Baba has a washer pressed between his lips and speaks through it in a low growl. I look around in alarm, but no one seems ready to quit yet. My family is the kind that loves to watch do-it-yourself shows together on TV. These are the programs about regular people who tear out their kitchen cabinets or showers and install shiny new ones. We comment on their choices and how all the people seem just like us. Until they start cutting tiles or using power tools. Then we decide they must secretly be professionals. The do-it-yourselfers on TV are nothing like the Saleem family. We don’t usually fix or build anything ourselves. My parents don’t own a toolbox or a single leather tool belt. There’s only a sagging shelf in the corner of the garage that holds a hammer, a box of nails, random hooks, and a screwdriver or two. But it cost an extra seventy-nine dollars to get the hoop assembled. So here we are, putting on a bad reality show for our neighbors. I can’t prove it, but it sure feels like they are walking their dogs a lot more than usual today and smiling at us extra hard. “You guys are doing it wrong.” My older sister, Zara, saunters outside holding a glass of lemonade and wearing a know-it-all look on her face. “What video?” I ask Zara. “YOU THINK?” Baba explodes. The lady from two doors down and her tiny yappy dog both jump up, startled as he shouts. I can’t help but grin. Jamal Mamoo catches my eye, drops the pieces of the base he was fumbling to put together, and lets out his wacky laugh. Soon Mama joins in too. Before we know it, we’re all howling with laughter. Even Baba. Nana Abu, my grandfather, comes shuffling outside because of all the commotion. Her question just makes us all laugh harder. I drop to the grass and roll around until my stomach hurts, but in a good way. I take a couple of shots and watch them go off the shiny new backboard into the perfectly straight rim. My game is already so much better than it was last year. I’m starting point guard on the team I’ve worked so hard to be a part of. I’m hoping Coach Wheeler will pick me to be our new team captain now that my best friend Adam left. We’ve turned our season around and have a chance to make the playoffs. Plus now I can practice at home and not worry about adjusting my shot to make it go in. “We did it,” Baba says. He puts his arm around Mama, and they gaze at the hoop proudly. They’re going to have a lot more to be proud of soon. I can only imagine incredible things ahead of me. My future is looking as good as my new hoop. 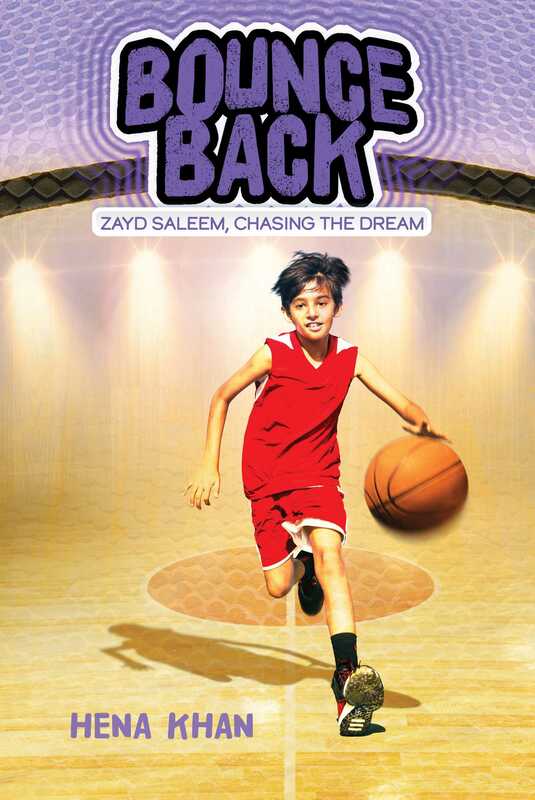 In the third installment of Hena Khan’s Zayd Saleem Chasing the Dream series, fourth-grader Zayd is having a great season on the Gold Team. Now that his best friend Adam is playing football and not basketball, he hopes that Coach Wheeler will choose to make him the new team leader. Everything seems to be going according to plan until an injury forces him to look at the game he loves and his role on the team in a new way. With only a few weeks until the championship and his favorite uncle’s wedding, will Zayd be able to bounce back in time? 1. At the end of the first chapter, Zayd comments, “‘I can only imagine incredible things ahead of me.’” How does the reality of what happens next compare with his expectations? What can you learn from Zayd about how to deal with disappointment or setbacks? 2. Explain how Zayd gets injured. What does the doctor tell him about recovering from his injury? How does Zayd react to the news? 3. What does Zayd think is the most difficult thing about being injured? Have you ever been injured? What was the most difficult thing for you? What advice would you give to Zayd about dealing with his injury? 4. Why does Baba say that Zayd should still go to practice even though he can’t play basketball? Why doesn’t Zayd want to go? What do you think Zayd should do? 5. What does Adam do to show Zayd that he is a good friend? How do you show your friends that you support them? 6. Why is Zayd nervous about his team facing the Lightning? Does being nervous impact his actions? 7. What is a dholki ceremony? Why does Zayd’s mother tell Baba and Zayd that they need to attend the ceremony? 8. What happens to Nana Abu at the dholki ceremony? How can you tell that Zayd’s family cares about Nana Abu? 9. Zayd’s favorite basketball player is John Wall; whenever Zayd tries to make decisions, he often thinks about how Wall would handle the situation. What does Zayd realize about the way that Wall leads his team? Is there someone you look to as an example or role model? How have they impacted your choices or actions? 10. When Zayd is injured, how does Coach Wheeler treat him? Why do you think Coach treats him that way? What does this experience teach Zayd about leadership? 11. What does Zayd notice about Sam? Why does he hesitate to give Sam feedback about how to improve his game? Are you comfortable giving your peers constructive criticism? Explain your answer. 12. What does Zayd realize about dancing and basketball as he’s preparing for Uncle Mamoo’s mehndi? Are you surprised by this realization? 13. How do Zara and Zayd trick Nana Abu into getting his exercise? Why do you think Nana Abu enjoys teaching his grandchildren about cricket? Have you ever taken the time to ask the older adults in your life about the activities they enjoyed when they were young? If so, what did you learn? If not, what do you think they might say? 14. Why is Zayd nervous about playing basketball after his injury? How does it impact the way he plays? Have you ever been afraid after an illness or injury? How did you overcome your fear? 15. How does Sam respond when Zayd finally gets up the courage to give him feedback on his game? How do you think you would have reacted if you were in Sam’s place? 16. Why do you think Coach Wheeler compliments Zayd on his leadership skills even though he has been injured and hasn’t been playing basketball? Explain how Zayd demonstrates leadership. 17. What advice does Nana Abu share with Zayd before the championship game? How does this advice relate to the challenges Zayd faces? How could you relate this advice to your own life? 18. If you’ve read the other books in this series, discuss the ways that Zayd changes in each book. What lessons has he learned? What lessons do you think he still needs to learn? If you haven’t read the previous books, predict what lessons he might learn next. 1. In the first chapter, Zayd’s family struggles to assemble a basketball hoop. Why do you think it can be difficult to understand a list of instructions? When do you think video instructions might be more helpful than written instructions? Why do you think that? Working alone or with a partner, prepare your own video tutorial teaching others to do something you know how to do particularly well. Write down the instructions, and then film each other demonstrating the steps. 2. Bounce Back includes descriptions of a Pakistani wedding. Research wedding traditions in Pakistan. What happens during the mehndi ceremony? What happens during the wedding ceremony? Find a Pakistani tradition that you think is especially interesting, and explain its significance and why you like it. 3. Part of Zayd’s preparation for his uncle’s wedding involves preparing a dance to perform for the bride and groom. Explore the phenomenon of Bollywood-style or desi-style dance; a good example is “Ballay Ballay Song” from the Pakistani movie Bin Roye or the video for “It’s the Time to Disco.” Try learning some of the moves before choreographing and performing a dance that would be similar to the one Zayd and his sister created for the wedding. Alternatively, make a playlist of songs that match these two styles and explain how you feel while listening to them. What kind of emotions do they evoke? Describe the rhythms and melodies. 4. After Nana Abu’s heart attack, Zayd’s family tries to get him to eat food that is good for his heart. Research the role diet plays in heart disease. What foods are good for your heart? What foods put a person at risk for heart disease? Name a few foods someone might substitute with others to improve their health. 5. Teams are made up of groups of people who play different roles. Zayd is a team leader, but being a leader is only one role that a person might play. Research the traits of effective teams and the roles that different team members might play. What do you think is your role in a team setting, or what would you like it to be? What are your strengths as a team member? 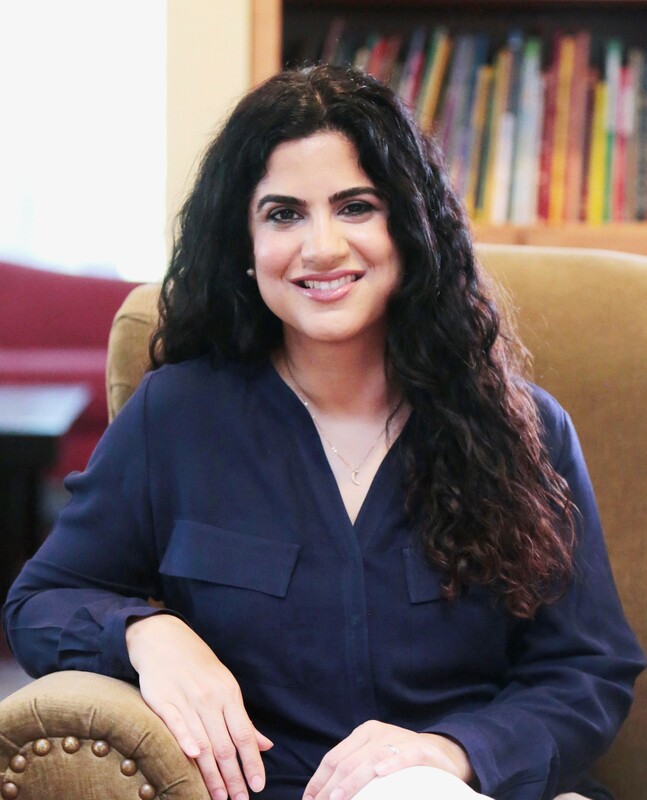 "Readers will enjoy watching Zayd grow in his game, his maturity, and his changing family life...A solid read about being your best self on and off the court, with an appealing Muslim protagonist." "Zayd is a welcome character for young readers, who learns that one can be a team player even when facing personal challenges."